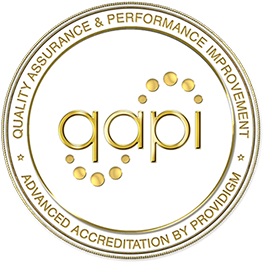 Louisville, Ky. – February 12, 2019 – More than 100 Signature HealthCARE locations are honored to receive Providigm’s Quality Assurance Performance Improvement (QAPI) accreditation. Eighty-three Signature HealthCARE locations earned advanced QAPI accreditation, and 20 Signature HealthCARE locations earned basic QAPI accreditation. Providigm’s QAPI Accreditation focuses on comprehensive, continuous, coverage, and corrective standards, which consist of resident and family interviews, a detailed look at census, thorough observations, and much more. In multiple studies conducted by Providigm, the number of deficiencies was significantly less in homes with QAPI accreditation.